Self Cure Remedy details of Drink and gargle with apple cider vinegar for the care and relief of Hoarseness, including effectiveness and popularity scores of the remedy. 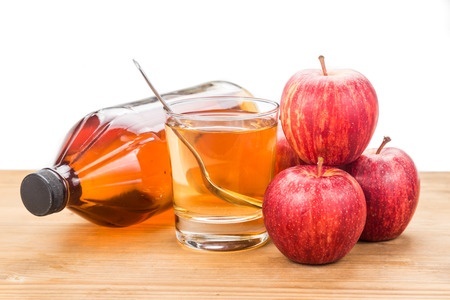 Diluted apple cider vinegar is very good for conditions like laryngitis that cause hoarseness. Mix 1/8 cup of apple cider vinegar in 16 ounces of water. Use it as a mouthwash or drink it. The self cure remedy of Drink and gargle with apple cider vinegar for the care and relief of Hoarseness has an effectiveness score of 3.9 and a popularity score of 89 on the self-cure system.